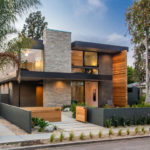 FINNE Architects have completed a new house in Venice, California, that’s located on a long and narrow lot. 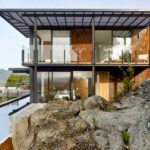 The house is comprised of a dramatic series of folded roof planes, as well as a collage of textured metal and wood exterior surfaces. 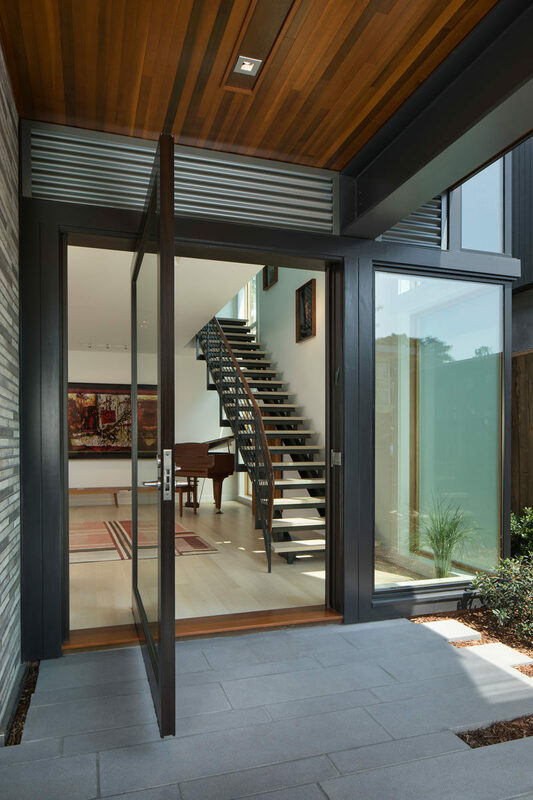 A 5-ft wide pivoting glass front door welcomes visitors to the home. 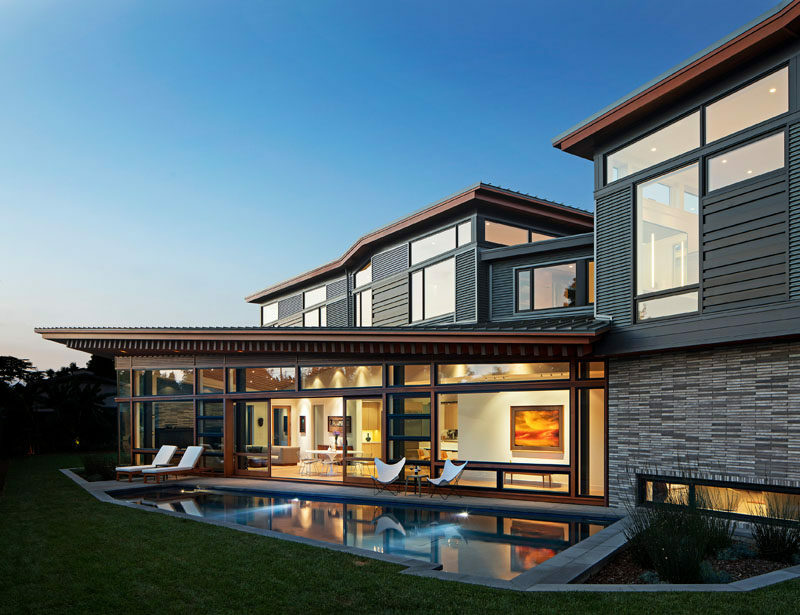 The entryway leads to a dining area with oversized 8-ft by 10-ft sliding glass doors that open directly to the pool, creating a seamless indoor-outdoor environment. 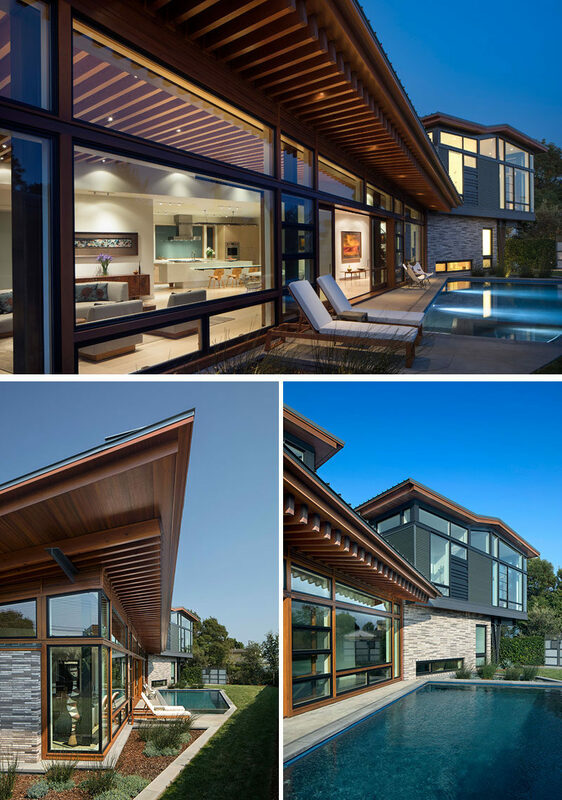 Outside, it’s easy to see the Douglas Fir beams that travel from the interior of the home through to the exterior. Back inside, the kitchen features both wood cabinetry and a quartz kitchen island with a cast-glass breakfast counter. 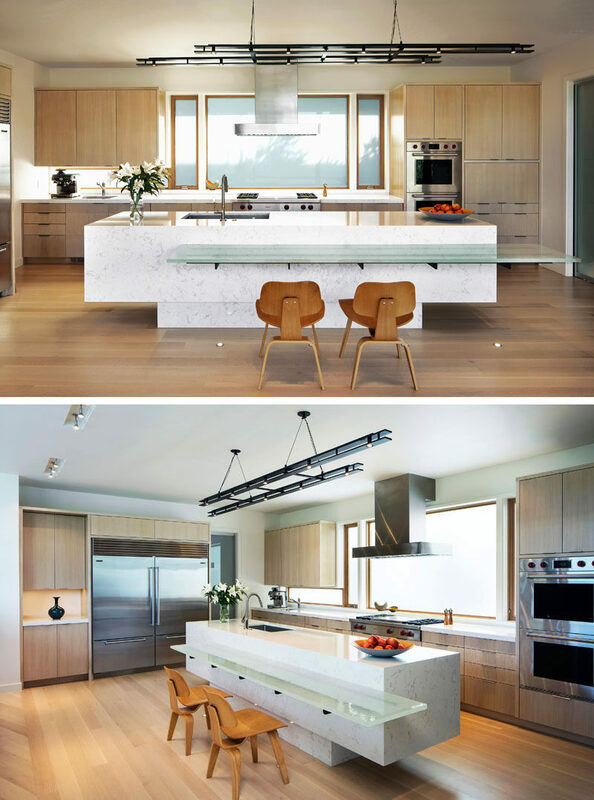 Hanging above the island is a delicate custom steel light fixture designed by FINNE. 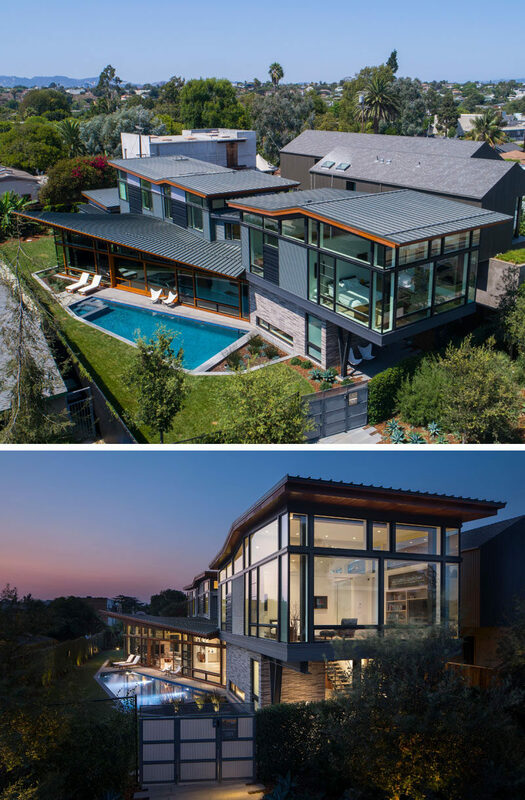 The living area is enclosed by a continuous glass wall, protected by a 6-ft roof overhang. 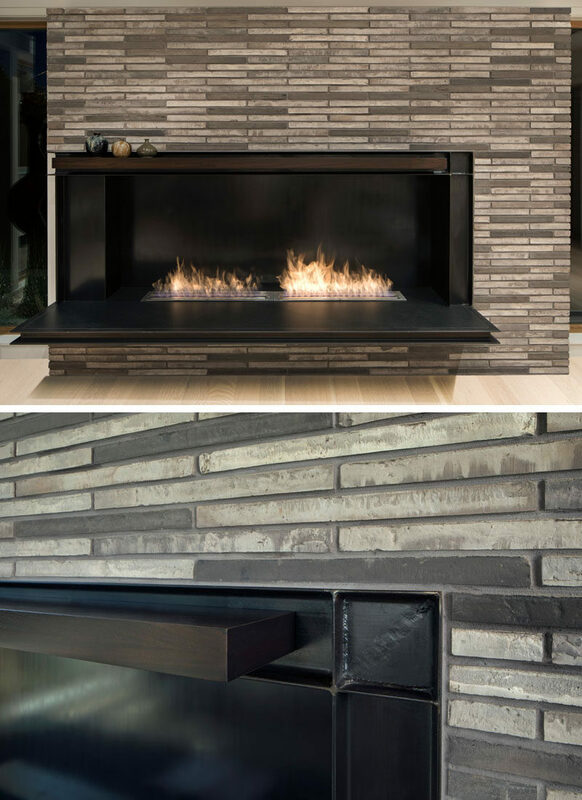 A thin grey brick surrounds the black steel fireplace in the living room. 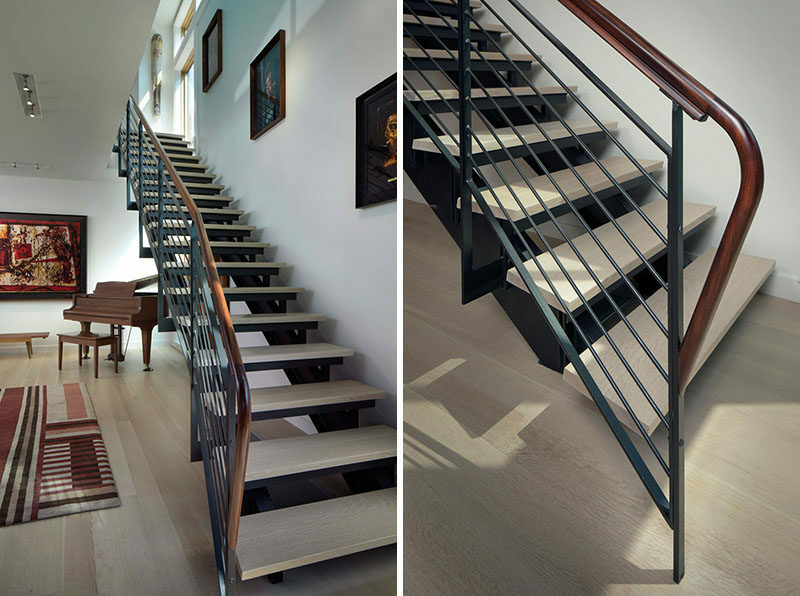 A steel and wood staircase connects the different levels of the home. 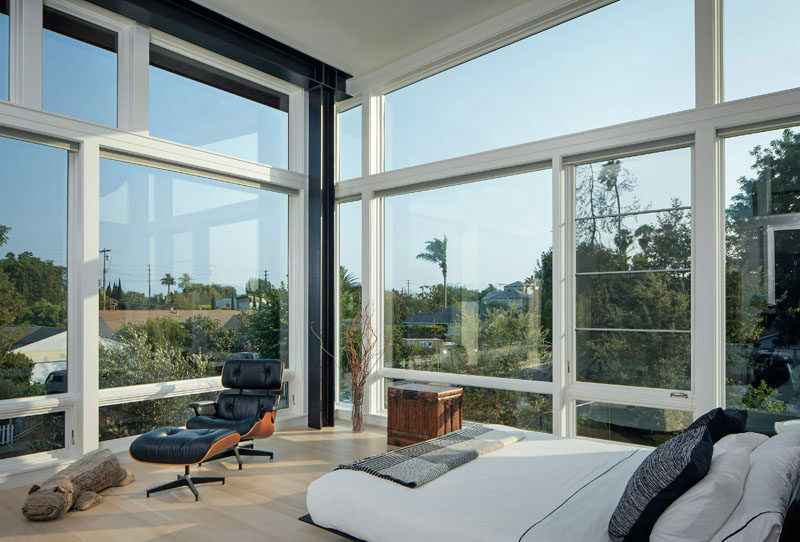 Upstairs, the master bedroom has walls of windows that fill the room with natural light and provide a view of the neighborhood. 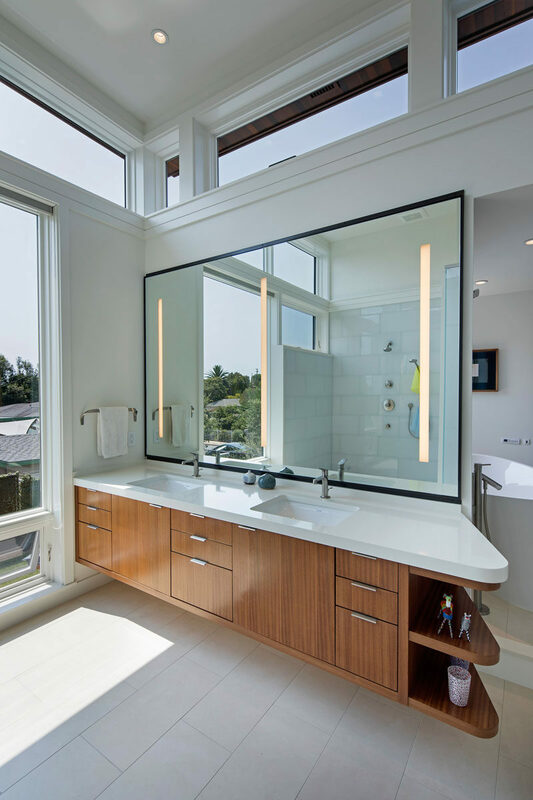 In the master bathroom, high operating clerestory windows are used to reduce heat gain in summer months, while a large mirror helps to reflect light throughout the interior.